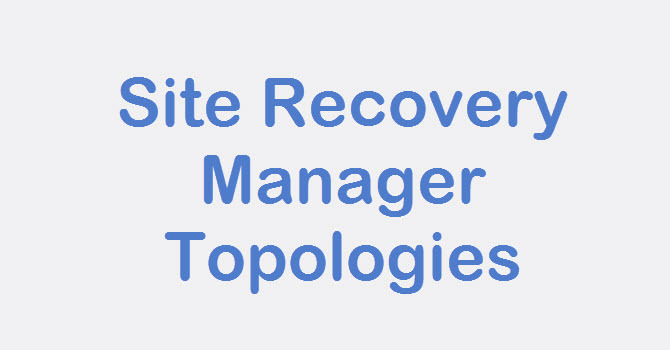 Test Recovery Plan is a useful feature of Site Recovery Manager. 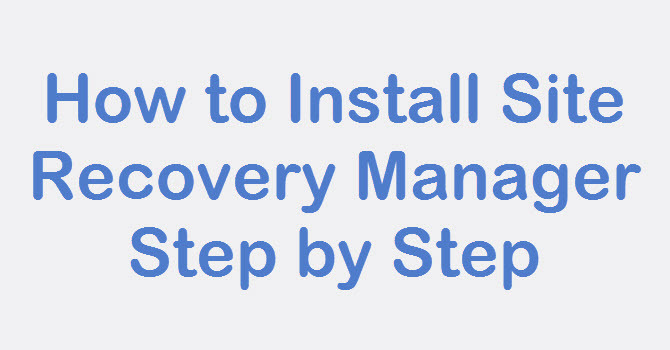 In previous post we have created and configure Recovery plan, After creating recovery plan we can also test the recovery plan so that we can be sure that Recovery at the DR Site is working as expected. 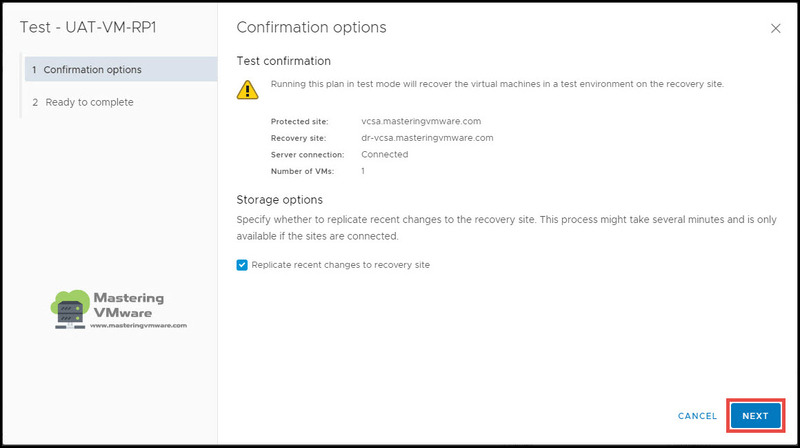 We can test the recovery of virtual machines which are replicated at the DR Site, So that ones the test recovery is completed, we can check for the availability of the virtual machines and it’s data. 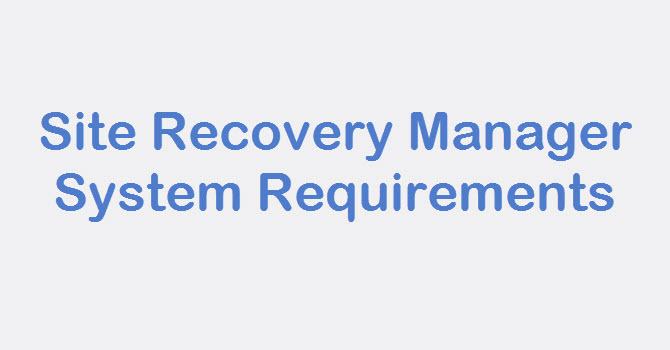 It is beneficial to test the recovery plan to verify it works as expected.Site Recovery Manager features a non-disruptive testing mechanism to facilitate testing at any time. It is common for an organization to test a recovery plan multiple times after creation to resolve any issues encountered the first time the recovery plan was tested. 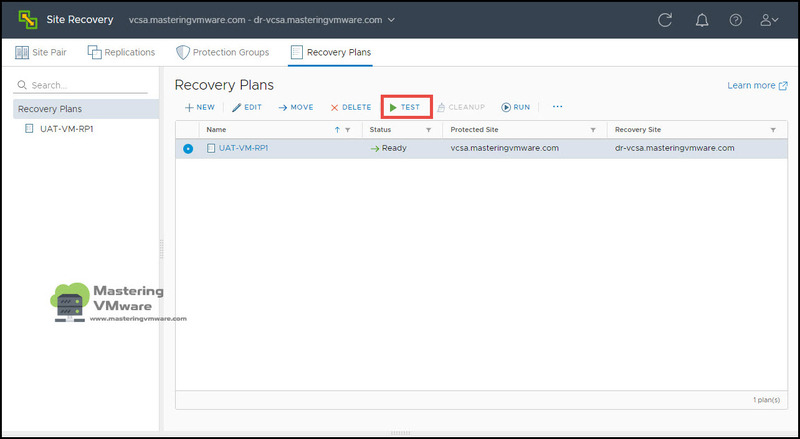 When testing a recovery plan, there is an option to replicate recent changes, which is enabled by default. 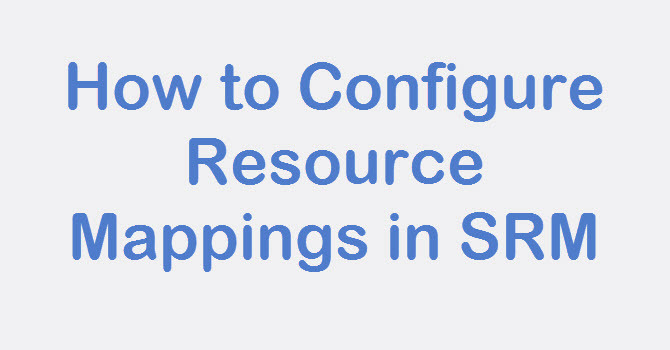 Replicating recent changes will provide the latest data for the testing process. 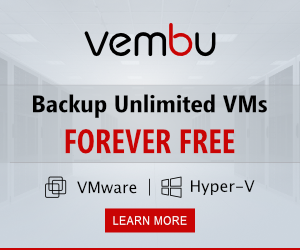 However, it will also lengthen the amount of time required to recover virtual machines in the recovery plan, as replication has to finish before the virtual machines are recovered. Here you can see Recovery plans you have created. 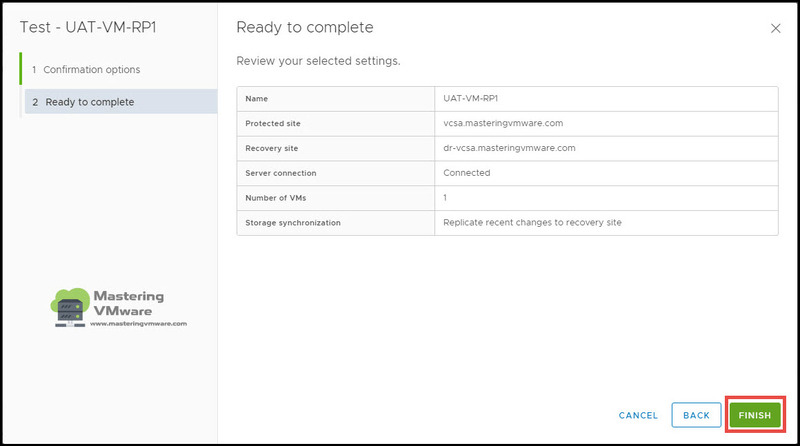 You can see your protected site and recovery site here and status of the connection. You have option to replicate recent changes to recovery site so that your last minute changes will also be replicated. Click Finish to start the Test Recovery. 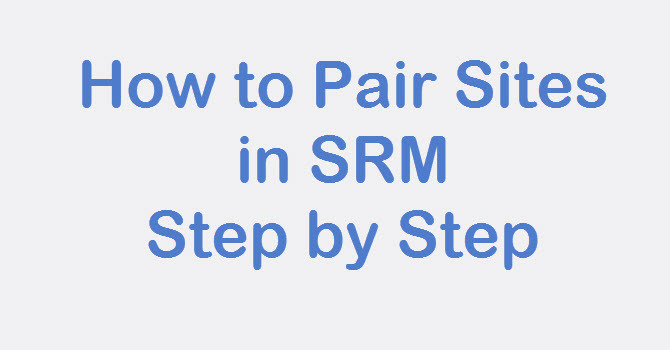 You can see that status and each step of the recovery plan here under Recovery Steps. Once the Test Recovery is completed you can see that your VM is running at the DR Site. So you can verify the virtual machine data and availability. When testing is complete, a recovery plan must be “cleaned up”. This operation powers off virtual machines and removes snapshots associated with the test. 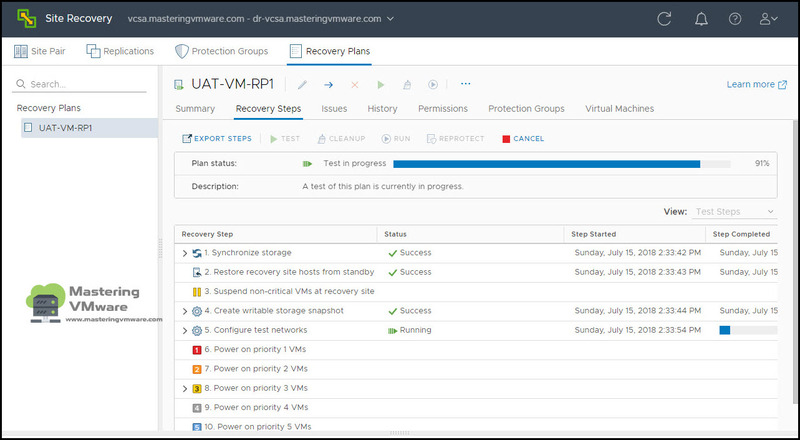 Once the cleanup workflow is finished, the recovery plan is ready for testing or running. Now we will see How to Cleanup the test plan. As you can see that Test is Completed successfully. Click on CLEANUP to start the cleanup of test recovery plan. 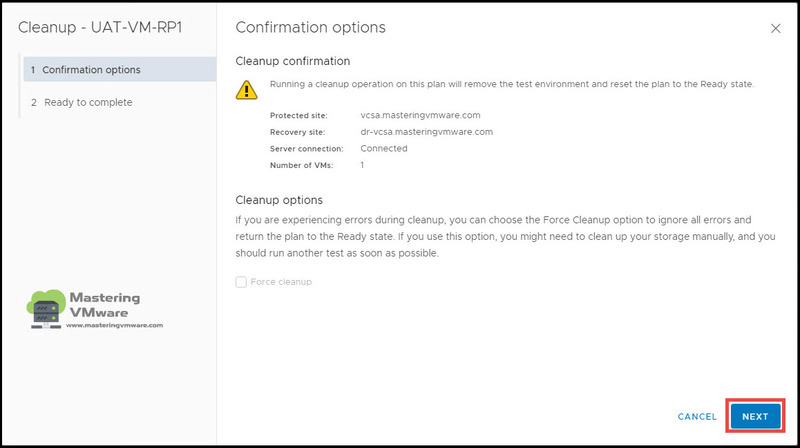 Here you can see cleanup confirmation options click Next. Review the settings and click FINISH to start the cleanup process. Cleanup process just takes few minutes based on your data. As you can see that cleanup is completed successfully. 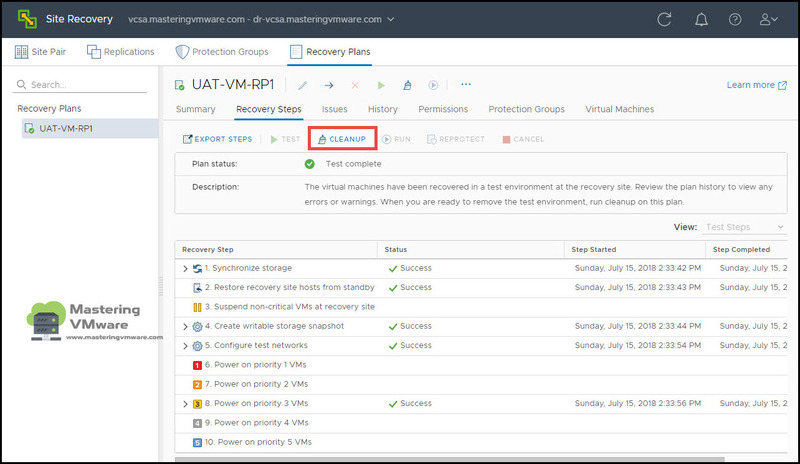 That’s it, Using this way you can easily test your recovery plan you have created for disaster recovery so that you can be confident that recovery plan is working fine and you can do recovery of the virtual machine anytime you require. 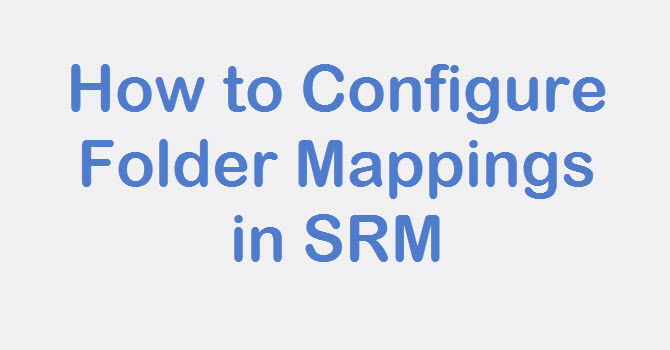 How to Run Recovery Plan in SRM ?